A few words from the man himself. I’ve been playing for ages and not very long. A few years ago, I started listening to music again, after a lengthy layoff, and then I started playing again. It was all about the Blues, in the loosest sense of the term. It was pretty much the only kind of music that had stood the test of time. 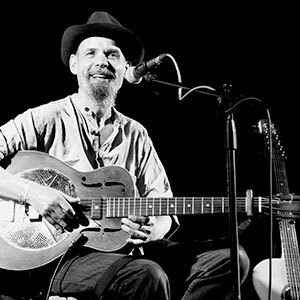 I assembled something of a collection of the greats, from Charley Patton to Muddy via Blind Willie McTell and the first Sonny Boy Williamson. I read a lot of books about their world and their music. It all spoke to me in mysterious ways. I decided to buy a resonator. While trying out new ones in a London shop, I was directed to a recent arrival. ‘The way you play, you’ll like this one,’ I was told. It was still in its case. It was a 1934 National Trojan, a wood-body resonator. ‘It’s got a sweet sound but it’ll bite if you want it to,’ the man said. He was right. Eric Bibb had just brought it in. Fate. Of living blues artists, he was the one I’d most cottoned on to. Naturally, I bought the guitar. I kicked off trying to play some of the songs I liked by the greats. But they always turned out sounding totally different. I had no real idea what those guys were doing. I’d never had a lesson, knew nothing about tabs and video tutorials. I just played what came into my head and fingers. Pretty soon I realised I was writing new songs, not doing versions of old ones. I started going out and playing the songs around London. It all seemed to go down very well, both with audiences and other musicians. I was encouraged. I built up a repertoire of songs and I was up and running. Then I recorded my first album, WATCHING THE PARADE. I asked some of the fine musicians I’d played regularly with to play on it. One of them, bass player and all-round musician Charles Benfield ran the whole thing, produced it, mixed it, mastered it. There’s a whole variety of kinds of song on it and all sorts of instrumentation – harmonica, mandolin, drums and percussion, keyboards. The centrepiece is the National guitar, but I play 12-string and 6-string and electric guitars on there too. I started to do gigs all over London, in all sorts of fine and well-regarded venues – some solo, many with Charles Benfield (double bass), Ryan Carr (mandolin), Ed Hopwood (drums) and Will Greener (harmonica), in various combinations. With that fine bunch of musicians, I did a couple of hundred gigs over the following couple of years, including supporting such fine touring US artists as The Holmes Brothers and Doug MacLeod and there were radio appearances too. In 2012, we went into the excellent Livingston Studios and recorded the second album, CROOKED SMILE. At this time, there were two welcome additions to the band, Josienne Clarke (vocals) and Ben Walker (mandolin/electric guitar). The album went down very well, one of the songs, Honeyboy, got nominated for Best Original Song in the British Blues Awards and gigging increased. I did my first few festivals then too, including an unforgettable set at Purbeck Folk Festival, with the whole 6-piece band, where a whole field full of people rose up and danced and bellowed for more. 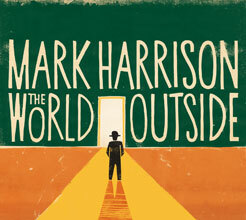 In 2014, I released THE WORLD OUTSIDE, also recorded at Livingston, and with the same line-up. By this time, I was doing gigs all over the country, radio sessions such as Jazz FM, and getting interviews and features in press and online. We played at a number of very good festivals, such as Love Supreme and Ealing Blues, and a real highlight was when I did Celtic Connections in Glasgow, headlining my own concert there, which sold out. I did that with Ed, we got a massive reception and then we got another one playing at the late-night Festival Club there to a huge audience. 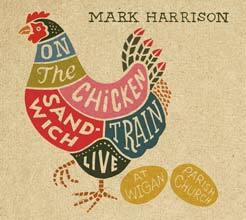 In 2015, I put out the live album, ON THE CHICKEN SANDWICH TRAIN, recorded at a very special gig at Wigan Parish Church, where Charles and I got a record-breaking number of encores. The album went down very well and got to #3 in the UK Independent Broadcasters Association chart. I also got nominated in the British Blues Awards in the Acoustic and Songwriter categories. And we played at some top festivals such as Bearded Theory and Lakefest. 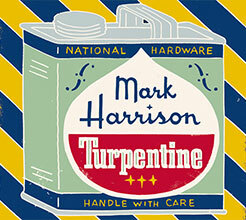 2016 saw the release of TURPENTINE. By now the line-up was established as me, Charles and Ed, with Ed doing a lot of percussion and harmonica as well as drums. The brilliant Tim Bazell produced it at Heart of Gold Studios, and the genius that is Paul Tkachenko added mandolin, organ, piano and accordion to some of the tracks. The album went down very well and got quite a bit of airplay on Radio 2. 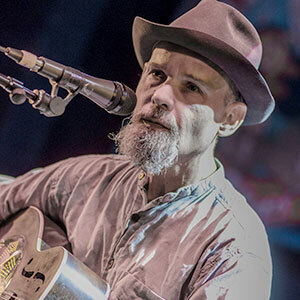 Extensive touring has continued, with some great venues played of all kinds, from theatres and arts centres to churches and barns, as well as festivals such as The Great British Folk Festival, the Acoustic Festival of Britain and the Great British Rhythm & Blues Festival. 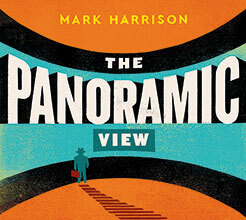 Ben Welburn came in on drums and 2018 saw the release of THE PANORAMIC VIEW, an ambitious album covering a huge range of subjects. Together with Charles and Ben, it has Paul Tkachenko again adding his magic, this time on tuba, trumpet, trombone and mandolin, the top piano player Paddy Milner and – a unique feature – Gail Porter doing spoken introductions to each song. It’s been an incredible few years. I started with no aim at all, other than to do a bit of playing here and there, and the whole thing has gathered its own momentum. I get to play at fantastic places all over the country, all sorts of different kinds of event, all sorts of different kinds of audience. I’m not limited to one genre, my music seems to have an appeal outside narrow boundaries. I’m amazed to find that people buy tickets to see me, come up to me and say such nice things about the songs, buy albums. And it’s great how much they enjoy the talking between the songs, which seems to have become a major part of my live shows. Plus I get to play with such fine musicians, and to meet nice human beings wherever I go. The music is rooted in the blues, but it’s not stuck in the past. I’m tapping into the timeless quality of the early blues to produce music totally relevant to the present day. I’m trying to do something fresh and different. I’m picking the guitar, using the strong rhythms and feel of the originators, and putting hopefully memorable tunes on top. People say they’re catchy. The songs are about a variety of things – I figure the area of male/female shenanigans has been pretty well-covered already, and I’m interested in all sorts of other things. I’ve got songs on subjects that people don't generally write songs about. There are songs about how people live, what they think, how we’re run, what’s going on. There are songs about life and characters (real and imagined) in the southern states of America back in the days when the blues was around. There are songs about work, economics, World War II, booze, dreams and death. I’ve got protest songs, story songs, gospel songs, songs of celebration, songs with a shrug, light songs, dark songs. Some of them pick up on parallels between the world of the early blues greats and the here and now, images of the past applied to the present. And some of them are just about the here and now – there’s a lot to be said that isn’t necessarily getting said. I’ve got the wonderful musicianship of a bunch of great players, who work out for themselves just how to make the songs sound at their best. It all evolves naturally and it always sounds fresh. I can do them on my own, and nothing’s missing. And when I do them with the others, something wonderful is added. So that’s what I’m doing. It’s got a foot in the past, but it’s all brand new.